In the latest episode of Uncaring Universe, the podcast from Tor UK, host Danny talks to Anne Corlett about her post-cataclysmic sci-fi road-trip novel, The Space Between the Stars. 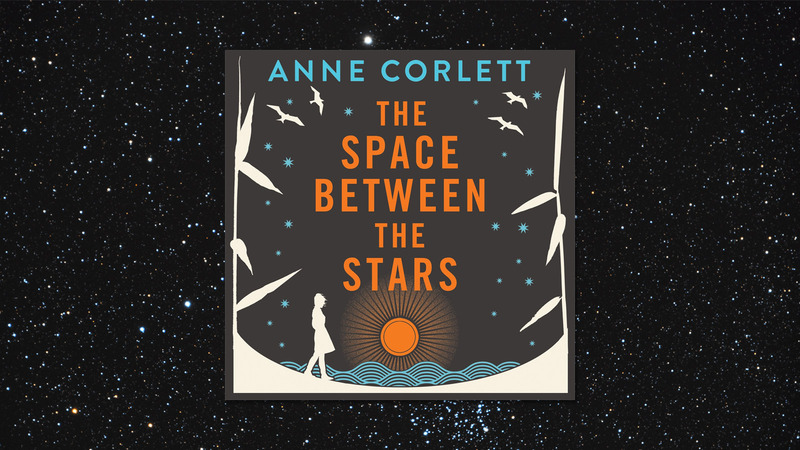 In the latest episode of Uncaring Universe, the podcast from Tor UK, host Danny talks to Anne Corlett about her post-cataclysmic sci-fi road-trip novel, The Space Between the Stars. Download the episode, and subscribe on iTunes here. Alternatively, listen in your browser with Soundcloud. • 'Post-deterioration' fiction and world-building. Anne Corlett on . . .
What I took from Firefly was that idea of science fiction not having to be slick and high tech and shiny. I love the original Star Trek, but I wasn't such a fan of Next Generation, with the holodeck and all that shiny stuff. What appealed to me about Firefly is that it felt low tech, it felt down and dirty, and that's what i wanted to do. And I realised you could. it doesn't have to be about the tech! We had discussions during editing, whether we needed more explanation about gravity and FTL systems, how the ship takes off and lands, but it just didn't work. [I said] I'm not doing it, it's just not happening! This isn’t how I usually work, I usually have the gem of an idea, I'm not good at plotting so I spend a lot of time just thinking how [something] could work. [But] this one came fully formed. It was while I was doing a Creative Writing MA at Bath Spa, writing [the next novel] that I'm writing now. I was having big problems, and it got right through to near the end of the course. I went up north, near to where I’m from, to Beadnell in Northumberland, out onto the beach, a beautiful beach, one of the nicest in the UK, and looked across the dunes and went wow. The idea of the book came to me then and there fully formed: “what would it be like to arrive somewhere this spectacular, after an impossibly long journey? Maybe one which you were never actually going to complete? The main character is intrinsically someone who wanted solitude and who finds relationships difficult. And then she gets what she wanted and realises how unmanageable it is. When I had the idea, it didn't come to me as a scifi novel. The setting is purely a response to the fact I needed her to face possibility of never being able to get from point A to point B. What sticks with me when I read is the little details, the specific moments that make you go, ‘ah that's just so spot on’. What's interesting is to take those recognisable emotions and situations and put them into an unfamiliar setting. So you have the idea of people always being people, no matter what the world around them is doing, but the unfamiliar setting throws that into sharper relief. You recognise remotion and human behaviour more when it's not in the cluttered day to day world. The Space Between the Stars is published in audiobook, ebook and paperback now.